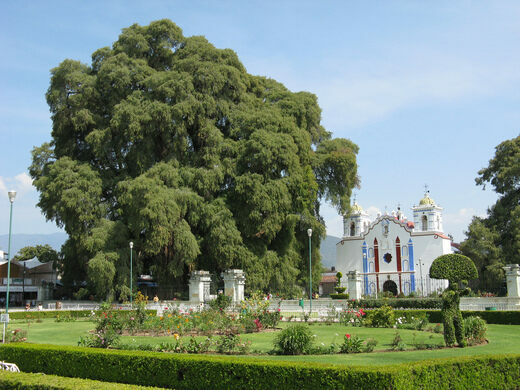 Located inside a gated churchyard in the picturesque town of Santa Maria del Tule, the Árbol del Tule is the widest tree in the world. The local Zapotecs like to joke that the Tule shares some of their characteristics: it is short (only 35.4 meters in height), stout (11.62 meters in diameter), and old (about 1,500 years). 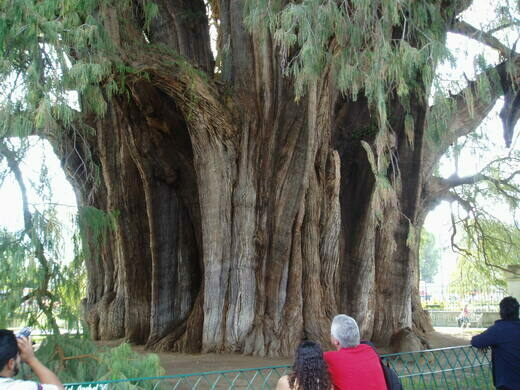 Indeed the Montezuma Cypress (Taxodium mucronatum) is roughly as old as nearby Mitla, the Zapotec religious site whose ruins draw visitors east from Oaxaca. Once thought to be so large that it could only have resulted from a merger between multiple trees, modern DNA analysis has confirmed that the Tule is, in fact, a single individual. 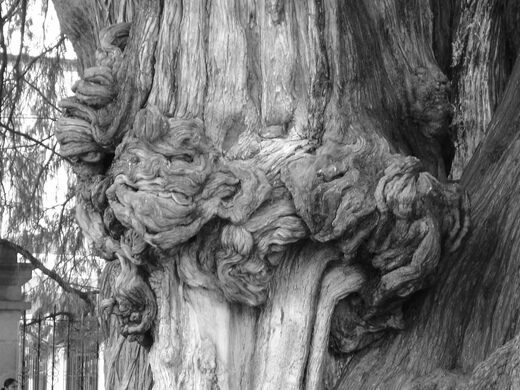 Though it is the Tule’s spectacular girth that earns it a place in the record books, it is its gnarled bark that truly inspires the imagination. In its knots and crooks, visitors have found likenesses of human faces, lions, jaguars, elephants, and a veritable bestiary of other creatures. The Tule Tree is still growing. Santa Maria del Tule can be reached by car by traveling east on Highway 190 from Oaxaca. Tour buses leave from Oaxaca every day of the week. 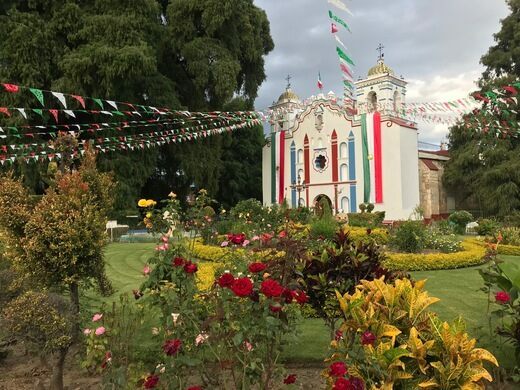 A 16th-century monastery boasts a lush array of plants native to Mexico’s most biodiverse region. These sacred Mesoamerican ruins feature peculiar petroglyphs hidden in the stones. This abandoned convent keeps the tomb of a legendary beheaded princess. A mysterious pillar in an ancient burial chamber is said to predict how long you have to live. A preserved oak tree about 3500 years old found in Riga, Latvia. The beams of the New College, Oxford dining hall come with an amazing story. Cold storage for agricultural biodiversity. Centuries-old bridges grown from tangled roots.